Little Brown and Co, 1996 Little Brown and Company, 1996. Edition. LIMITED EDITION. This beautiful illustrated book is limited to 425 copies printed. This is number 127. 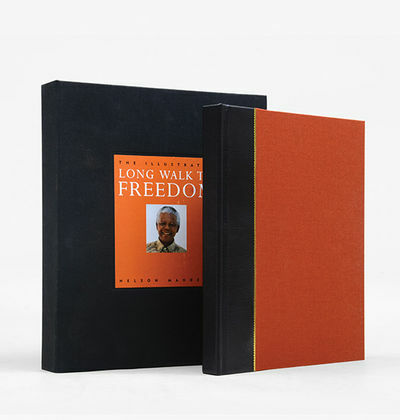 This copy is authentically SIGNED by Nelson Mandela on a portrait taken by Benny Gool. 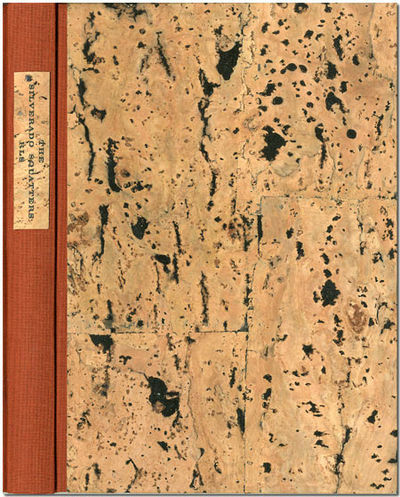 The book is in excellent shape and bound in the ORIGINAL quarter bound Wassa Goatskin from South Africa. The book appears unread. The binding is tight, and the boards are crisp. The pages are clean with NO marks or bookplates in the book. The book is also housed in publisher's clamshell case lined in silk. Overall, a sharp copy with the original shipping box from the publisher that has number 127 written on the shipping box that matches the number 127 in the book.. Signed by Author(s). Limited Edition. Hardcover. Fine. Boston: Little, Brown and Company,, 1996. Quarto. Original quarter black Wassa Goatskin, brown cloth sides, gilt rules to boards, blue textured endpapers, all edges gilt. Laid-in is the photograph of Nelson Mandela by Benny Gool, as issued. Housed in the publisher's presentation box lined with blue moirÃ© silk and the original packaging. Illustrated throughout with photographic reproductions. A fine copy. 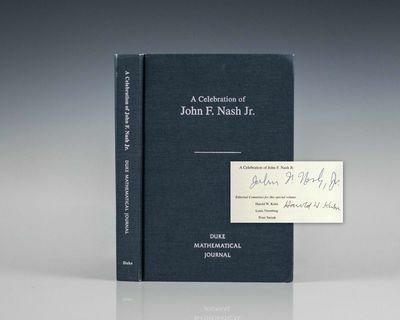 First US edition, signed limited issue. This is copy number 76 from an edition of 425 copies quarter bound by hand in Wassa Goatskin from South Africa. It includes a specially commissioned portrait of Nelson Mandela, taken by Benny Gool, and individually signed and dated by Mandela. 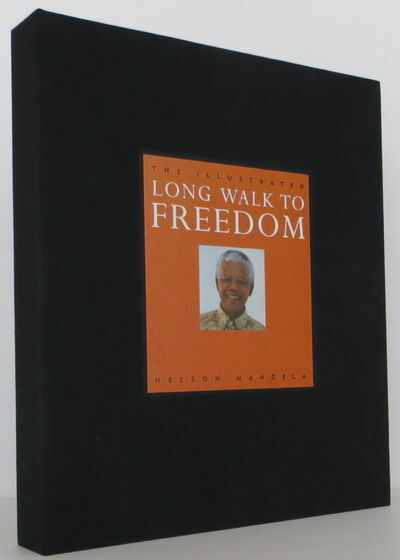 This illustrated and abridged edition of Mandela's biography was first published in the UK earlier the same year; the unabridged edition was first published in the UK in 1994. UK: Voyager. London, Voyager, 1996. Hardback first edition and first impression. Very good condition, toned text block as is usual. Some bumping to the spine tips, jackets a little crinkled at tips and corners too. Price sticker to rear. Some markings to boards. . Very Good. Hardback. 1st Edition. 1996. London: Secker & Warburg,, 1996. Down and Out in Paris and London, Burmese Days, A Clergyman's Daughter, Keep the Aspidistra Flying, The Road to Wigan Pier, Homage to Catalonia, Coming Up for Air, Animal Farm, Nineteen-eighty Four, An Age Like This 1920 - 1940, My Country Right or Left 1940 - 1943, As I Please 1943 - 1945, In front of Your Nose 1945 - 1950. 14 volumes, octavo. Recent green morocco, titles and decoration to spines gilt, raised bands, single gilt rule to boards, marbled endpapers, gilt edges. A fine set. 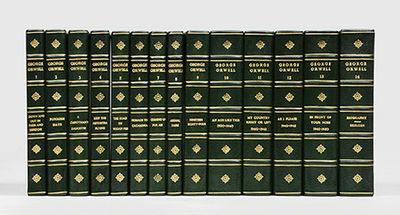 A handsomely bound set of Orwell's complete writings, novels and essays including a biography by Michael Sheldon. This set was first published in 1986. Hockney, David. Prints 1954 - 1995. San Francisco: The Arion Press, 1996. Small quarto. Cloth and cork over boards. Illustrated with 16 duotone photographs. Bookplate on front pastedown, otherwise fine. 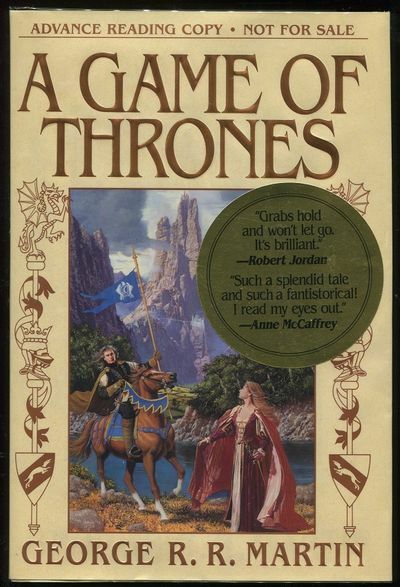 First printing in this format. Illustrated with photographs by Michael Kenna, and with an Introduction by Oscar Lewis. One of 250 numbered copies (of 276) printed by Andrew Hoyem and associates on Zerkall mouldmade paper, and signed by the photographer. Luzern-Faksimile Verlag., 1996. - 2 Bde. (Faksimile u. Kommentar) Faksimile: 276 Seiten, mit 20 ganzseitigen Miniaturen und 17 Initialseiten Das Brüsseler Stundenbuch, gehört zu den Juwelen der französischen Buchmalerei. Es handelt sich mit grosser Wahrscheinlichkeit um eine Auftragsarbeit des Herzogs von Berry, denn überall in den Bordüren dieser Bilderhandschrift finden wir die herzoglichen Wappen, seine Embleme wie etwa den Bären sowie das Monogramm VE aus seiner Devise. Neuwertiges Exemplar aus zweiter Hand zu günstigem Preis. Bl Eine Rechnung mit ausgewiesener Mehrwertsteuer liegt Ihrer Bestellung bei. la Gewicht in Gramm: 2100 27,5 x 18,5 cm ; Kommentarband: 293 S. mit 43 Abb. Roter Ziegenledereinband mit reicher ornamentaler Gold- und Blindprägung sowie Goldschnitt (Faksimile) in deutsch und französisch. sehr gut erhaltene 2. Hand-Edition Ms. 11060-61 Bibliotheque Royale Albert Ier Bruxelles. Faksimile-Ausgabe Luzern, Faksimile Verlag, 1996, Limitiert auf 980 numerierten Exemplaren. Komentarband von: Pierre Cockshaw. Koran des Mulay Zaidan (13. Rabi'a 1008 AH/02.11.1599 AD), Codex 1340 de la Biblioteca del Monasterio de El Escorial. Vollfaksimile des Originaldokuments. Patrimonio Nacional: Testimonio Compania Editorial, Madrid, 1996 - Koran - Madrid, Patrimonio Nacional: Testimonio Compania Editorial 1996. 28 x 20 cm. 532 S. (266 Folios) im Originalformat (Vollständige Ausgabe). Erste Ausgabe. - Auf 980 Ex. limitierte Auflage, einzeln handnumeriert mit notariellem Zertifikat. Vollständiges, authentisches Testimonio-Faksimile des Codex Sa'di Ms. arab. No 1340 in der Real Biblioteca de San Lorenzo de El Escorial. Der Koran Al-qur'an des Sultans Mulay Zaidan. Koutoubia Moschee, Marrakesch. 13. Rabi'a 1008 AH 02. 11. 1599 AD. - Mit bedeutenden arabesken Illuminationen zu Beginn und am Schluss. Auffällig gepflegte Schrift im Typ Mabsut in farbiger Dekoration (Vokale in Rot, Tasdids und Sukuns in Blau). - Auf dem Höhepunkt der Sa'di-Dynastie hat Sultan Ahmed al-Mansur, genannt al-Dhahabi ("der Goldene"), dem heiligen Buch des Islams, dem Qura'n (quira'ah), eine wahrhaft prächtige Gestalt gegeben, wie es seinem Hort immenser Goldschätze entsprach. Sein Sohn Mulay Zaidan gab ihm den verschollenen kostbaren Einband und fügte den Koran, die "Lesung" der Offenbarungen Mohammeds, als Schatz in seine Privatbibliothek. Nach dem Sieg der Spanier in der Barbary-See 1611 gelangte der Codex zu König Philipp III. in den Escorial. Theologie, religious studies, Gebetbücher, Gesangbücher, Homiletik & Predigten; Faksimile,; Koran; Orientalistik, Oriental Studies Handgenäht und gebunden in weißem Ziegenleder, goldgeprägt. Mit dreiseitigem Goldschnitt und vergoldeten Beschlägen. Le icone dell'attesa. Sei acqueforti inedite per Leopardi. A cura di Mauro Bini e Arialdo Ceribelli. Testo di Francesco Piero Franchi. Scolar Press, UK, 1996. Limited Edition. Hardcover. Fine Condition. Signed by Illustrator. 324 Pages, fully and extensively illustrated in colour and black & white. This is Number 32 of a limited edtion of 50 copies, signed and numbered by the artist. Together with a tipped in miniature colour print 135 x 95mm, and an extra copy of the same print loose and numbered 32. Book Description: Following the progress of the Irish painter Tony O'Malley, this work is issued in conjunction with an original work, created in mixed media in the 1970s in St. Ives, taken from a suite of fifty known as the Seal Cottage series. Tony O'Malley was born in Callan, Co. Kilkenney in 1913. He worked for many years as a clerk with the Munster and Leinster Bank but after contracting tuberculosis and long periods in Sanatoria and hospitals, he was retired from the bank and this led him in his forties to pursue a long-desired career in Cornwall where he came into contact with many of the leading figures in the community of artists there, including Patrick Heron, Peter Lanyon, Bernard Leach, Terry Frost and Bryan Wynter. Size: Quarto. 324 pages. Dust Jacket is in as new condition, apart from normal shop shelf wear - contains no tears or chips or other damage. Quantity Available: 1. Category: Art, Architecture & Photography; Styles & Movements; Signed by Illustrator. ISBN: 1859283284. ISBN/EAN: 9781859283288. Inventory No: X129-1454. . 9781859283288 This book is extra heavy, and may involve extra shipping charges to some countries. Naumann, Hermann. - "Winter in Dittersbach". Tome VII. (Suite aux catalogues de Bernhard Geiser). Catalogue raisonné de l'oeuvre gravé et lithographié et des monotypes. 1969 - 1972. 1996. Dabei: Addendum aux Tomes I à VII. Description des corrections. Bern: Kornfeld. 1996 - 4to. 630 pp. The standard catalogue raisonné of the graphic work. TILESIUS, Adolph von [=Wilhelm Gottlieb TILESIUS von TILNAU]. Naturhistorische Abhandlungen und Erläuterungen besonders die Petrefactenkunde betreffend[.] Kassel, Johann Christian Krieger & Co., 1826. Royal 4to (31 x 21 cm). With 8 numbered hand-coloured lithographed folding plates. Contemporary red grained gold-tooled sheepskin, richly gold-tooled spine. Nissen, ZBI 4140; Ward 2174; William Patrick Watson, Catalogue 7, no. 104 (1996). First and only edition of an early work on fossilized invertebrates by German naturalist and draftsman Wilhelm Gottlieb Tilesius von Tilenau (1769-1857). The main work consists of 9 treatises concerning trilobites, a well-known fossil group of extinct marine arthropods. The book discusses and illustrates other species as well. It includes 10 detailed and colourful plates, many with numerous figures, illustrating the specimens mentioned in the text, all lithographed after drawings made by Tilesius himself.With the crowned J owner's stamp of King Johann of Saxony (1801-1873), reigned 1854-1873, on the title-page (Lugt 1405), and a deaccession stamp on the reverse with a hand-written identification number. In very good condition, with the leaves fresh and crisp, with only some minor foxing on the leaves to which the folding plates are attached. Some minor wear to the upper right corner of the front board and a small tear at the top of the spine, but binding otherwise in very good condition. PUYPE, J.P., ROTH, R., VISSER, H.L., BAILEY, D.W., BLACKMORE, H.L., HOFF, A. The Visser collection. Arms of the Netherlands in the collection of H.L. Visser. Catalogue of firearms, swords and related objects + Dutch guns in Russia in the Moscow Kremlin Armoury, Moscow Historical Museum, Hermitage St. Petersburg, Gatchina Palace Museum + Aspects of Dutch gunmaking. 4 parts in 6 volumes. Circleville, New York : Circleville, N. Y.: Nicholas J Certo / Mugster Press, 1996, 1st Edition, First Printing, 1996. -----------hardcover, a Fine unread copy, no dustjacket as issued, one small mark on one page (printing flaw and not a stain ), a lovely book which is packed with b&w drawings and sketches by Bok plus many hi-quality colour reproductions of some truly stunning Bok pieces, this is # 8 of the 40 copy limited edition with an original piece of Bok artwork, in this case a hand coloured image of two pioneer Davey Crockett types astride an emblem which is vaguely reminiscent of the American flag, ---as well, laid-in to this copy is the original stone lithograph of a lion as pictured on page 32 of this book, this image includes Bok's name etched into the border of the artwork, likely no other copies of this lion exist or at the most one or two, lithograph is a Near Fine example, 66 + 4 pages, any image directly beside this listing is the actual book and not a generic photo. Original ART Signed By Illustrator. First Edition. Hard Cover. Fine/No Jacket as issued. Illus. 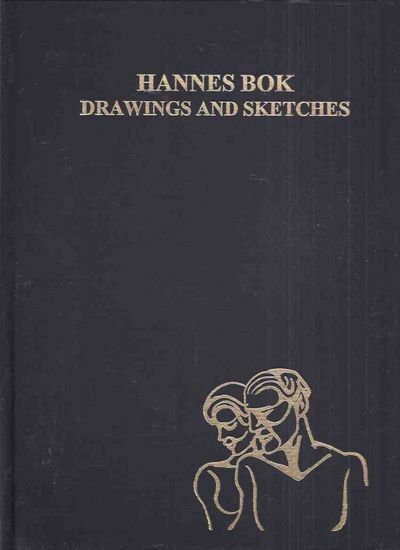 by Hannes Bok. Der Neue Pauly, Enzyklopädie der Antike. (16 Bde. in 19 Teilbdn.). Gesang der Abgeschiedenen. Mit 7 nummerierten und signierten Farbholzschnitten von Hanns Studer. 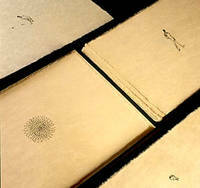 Scolar Press, 1996, Hardcover, Book Condition: Fine Condition, Limited Edition, Signed by Illustrator. 324 Pages, fully and extensively illustrated in colour and black & white. This is Number 32 of a limited edtion of 50 copies, signed and numbered by the artist. Together with a tipped in miniature colour print 135 x 95mm, and an extra copy of the same print loose and numbered 32. 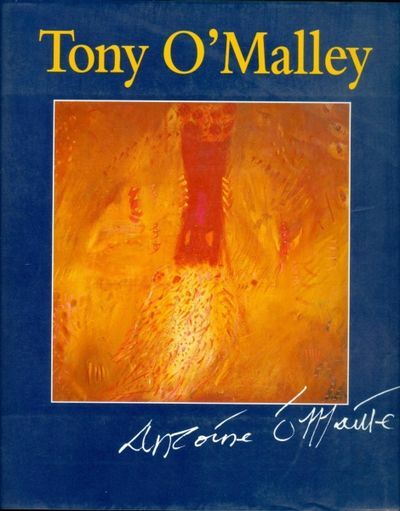 Book Description: Following the progress of the Irish painter Tony O'Malley, this work is issued in conjunction with an original work, created in mixed media in the 1970s in St. Ives, taken from a suite of fifty known as the Seal Cottage series. Tony O'Malley was born in Callan, Co. Kilkenney in 1913. He worked for many years as a clerk with the Munster and Leinster Bank but after contracting tuberculosis and long periods in Sanatoria and hospitals, he was retired from the bank and this led him in his forties to pursue a long-desired career in Cornwall where he came into contact with many of the leading figures in the community of artists there, including Patrick Heron, Peter Lanyon, Bernard Leach, Terry Frost and Bryan Wynter. Size: Quarto. 324 pages. Dust Jacket is in as new condition, apart from normal shop shelf wear - contains no tears or chips or other damage. Quantity Available: 1. Category: Art, Architecture & Photography; Styles & Movements; Signed by Illustrator. ISBN: 1859283284. ISBN/EAN: 9781859283288. Inventory No: X129-1454. Boston: Little, Brown and Company, 1996. Hardcover. Like New. Signed. Sixth printing. 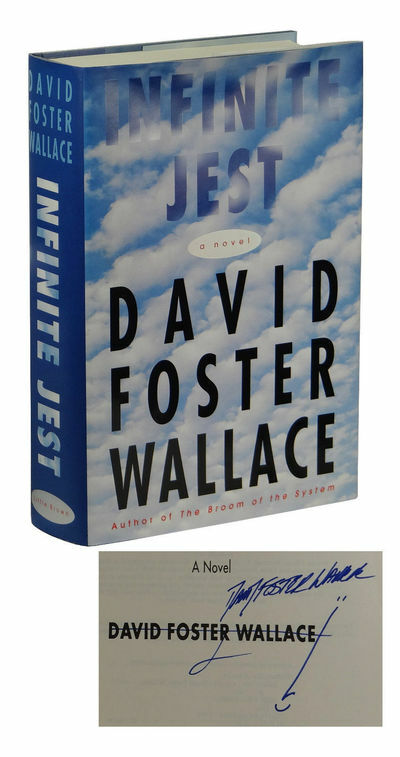 Signed with a small doodle by David Foster Wallace on the title page. Near Fine, in dust jacket with price intact and William T. Vollmann's name correctly spelled. Faint, tiny spot to top edge of page block. A rather nice copy, with minimal wear to the book and jacket. The late author's magnum opus, signed. The White Spider. An account of the first ascent of the Eiger by Heinrich Harrer with photographs by the author. Kibbey, Mead B.; Palmquist, Peter E.
Little, Brown, 1996. First Edition (first printing). 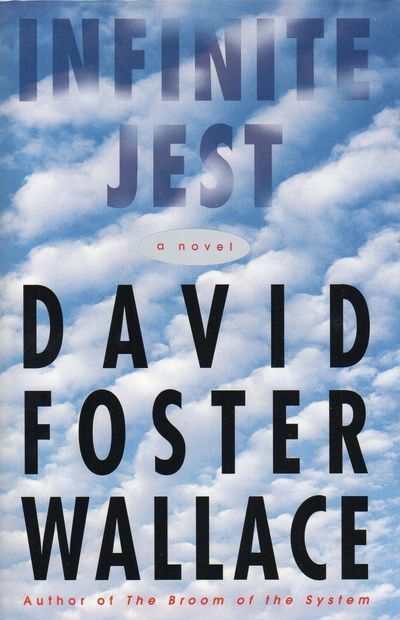 The magnum-opus by the late author of THE BROOM OF THE SYSTEM and the unfinished THE PALE KING, the "gargantuan, mind-altering comedy" about addictive entertainment, centered around a Boston halfway-house for recovering addicts and the nearby tennis academy. With the infamous 98 pages of "Notes & Errata" which are key to an in-depth understanding of this densely-written story. This is the first issue with "Vollman" misspelled on the rear dust jacket panel. Fine/Fine but for an incidental short fold to the rear jacket panel. Signed by Wallace on the title page. . Signed by Author. 1st Edition. Hardcover. Fine/Fine. Systemische Medizin, 1996. 1996. Hardcover. 26,2 x 19,6 x 2,6 cm. 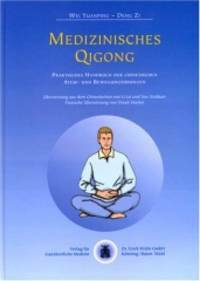 Das Buch ist eine systematische Monographie Ã¼ber den therapeutischen Einsatz von Qigong-Ãœbungen. EinfÃ¼hrend wird das grundlegende Wissen Ã¼ber Medizinisches Qigong vermittelt. Danach werden die grundlegenden Techniken und Ãœbungen besprochen. Im Hauptteil des Buches werden die therapeutischen MÃ¶glichkeiten des Medizinischen Qigong bei 24 Krankheitsbildern aus den Gebieten der Inneren Medizin, GynÃ¤kologie, Neurologie und OrthopÃ¤die dargestellt. AbschlieÃŸend wird der Einsatz von Qigong-Ãœbungen zur KÃ¶rperpflege, Gewichtsabnahme, RaucherentwÃ¶hnung, Steigerung der Intelligenz und KonzentrationsfÃ¤higkeit und zur VerlÃ¤ngerung der Lebensspanne beschrieben. Das Buch ist eine systematische Monographie Ã¼ber den therapeutischen Einsatz von Qigong-Ãœbungen. EinfÃ¼hrend wird das grundlegende Wissen Ã¼ber Medizinisches Qigong vermittelt. Danach werden die grundlegenden Techniken und Ãœbungen besprochen. Im Hauptteil des Buches werden die therapeutischen MÃ¶glichkeiten des Medizinischen Qigong bei 24 Krankheitsbildern aus den Gebieten der Inneren Medizin, GynÃ¤kologie, Neurologie und OrthopÃ¤die dargestellt. AbschlieÃŸend wird der Einsatz von Qigong-Ãœbungen zur KÃ¶rperpflege, Gewichtsabnahme, RaucherentwÃ¶hnung, Steigerung der Intelligenz und KonzentrationsfÃ¤higkeit und zur VerlÃ¤ngerung der Lebensspanne beschrieben. 1996. RODAT, Robert. SAVING PRIVATE RYAN. Los Angeles: Hohman Maybank Lieb, 1996. The original 116-page shooting script for the famous film, starring Tom Hanks, Tim Sizemore, Edward Berns and Matt Damon. 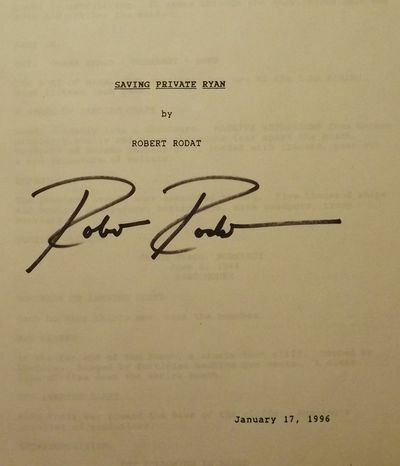 This copy is signed by screenwriter Robert Rodat on the title page. This screenplay received an Oscar nomination and the film won five Academy Awards, including Best Picture. Fine. 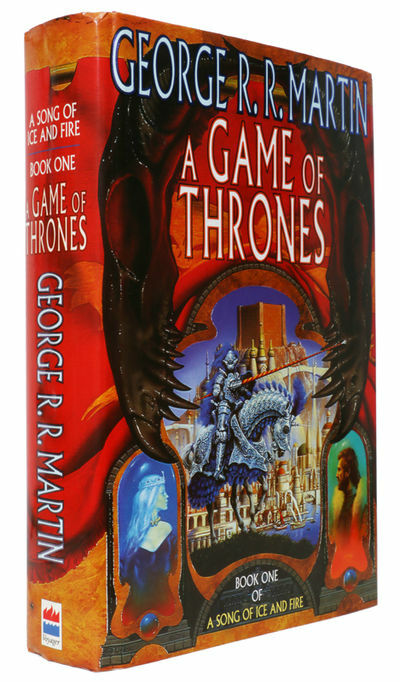 Enclosed in a custom-designed, leather and cloth clam-shell box, with the spine tooled in gilt & red and with the front cover depicting the silhouette of a soldier with a colorful (fiery-type) background. $1500.00. Planvedute der Stadt Zürich 1576. Handabzüge von den Original-Holzdruckstöcken. Die Bibel. Die Heilige Schrift des Alten und Neuen Testaments. Vollst. Ausg. Nach den Grundtexten übers. und hrsg. von Vinzenz Hamp, Meinrad Stenzel Josef Kürzinger. Giebe, Hubertus. - Kauernder weiblicher Akt. Les petites Heures du Duc de Berry. Das Stundenbuch des Herzogs von Berry.14. Jahrhundert &#150; Bibliothèque nationale, Paris, Ms.lat.18014. Shanghai Ancient Books Publishing House; 1 (Decemb. hardcover. New. Ship out in 2 business day, And Fast shipping, Free Tracking number will be provided after the shipment.Hardcover. Pages Number: 1008 Language: Chinese. Publisher: Shanghai Ancient Books Publishing House; 1 (December 1. 1996). 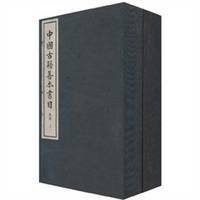 Chinese Ancient Rare Books (set of upper and lower part) (package of 15 volumes) (Traditional Vertical typesetting) include: Chinese Ancient Rare Books (Set Upper) (1) . Chinese Ancient Rare Books (Set Upper) (2) . Chinese Ancient Rare Books (Set Upper) (3) . Chinese Ancient Rare Books (Set Upper) (4). Chinese Ancient Rare Books (Set Upper) (5). Chinese Ancient Rare Books... Satisfaction guaranteed,or money back. Les petites Heures du Duc de Berry. Das Stundenbuch des Herzogs von Berry.14. Jahrhundert – Bibliothèque nationale, Paris, Ms.lat.18014. Jonathan Rodger,, 1996. Bromoil gelatin silver print. Image size: 24 x 36.5 cm. Sheet size: 30.3 x 40 cm. Presented in hand finished black stained ash frame. Stamped and initialled on the verso by Jonathan Rodger. 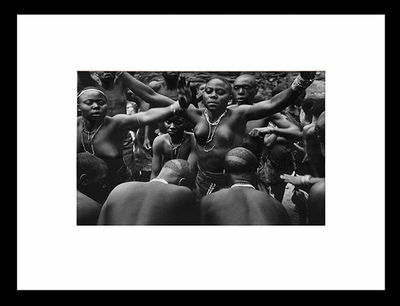 Image taken in Uganda in 1948 and printed 1996. New York: Bantam Books, 1996. First printing. Oversized Paperback. Near Fine/Fine. 663 pp. Advance Review Copy in wraps with dust jacket (different design and cover art than the published version), as issued. 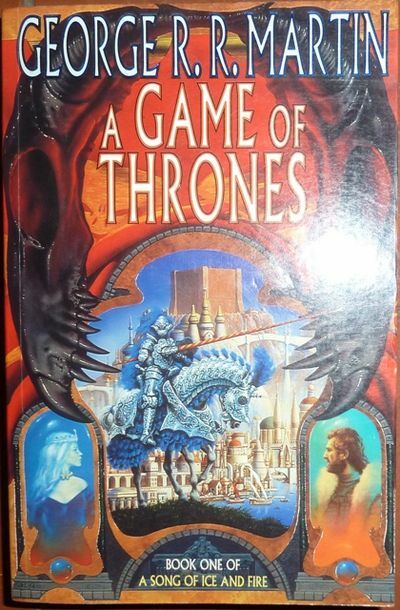 An attractive example of the first book in Martin's acclaimed A Song of Ice and Fire series, uncommon as an advance copy. Near Fine book with previous owner's name written on first page and the usual tanning to the pages in a Fine dust jacket.